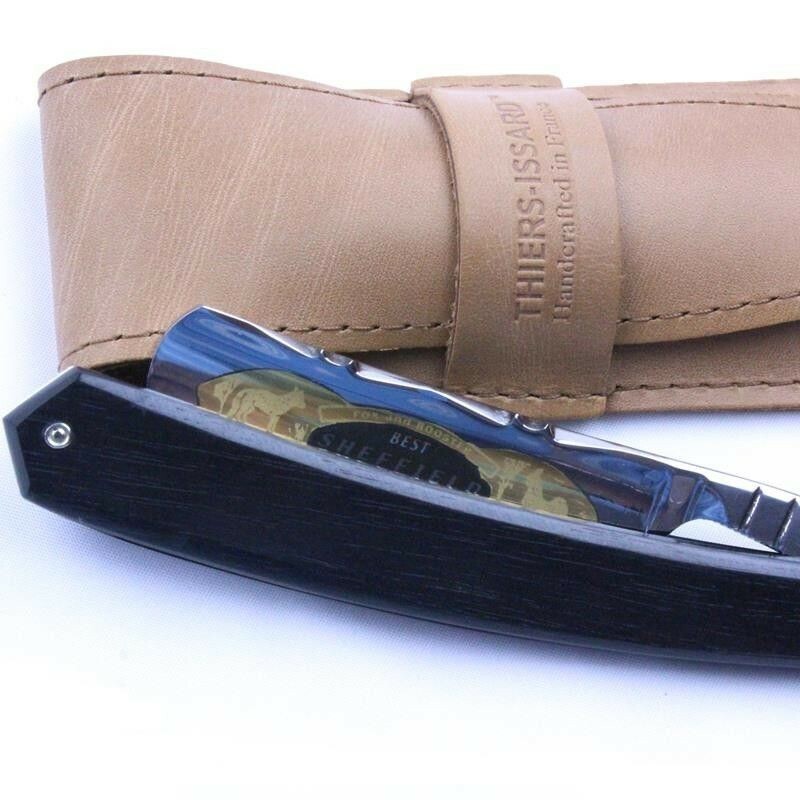 This stylish 5/8 razor from Thiers-Issard sports ebony scales whilst the spine features the hand worked flower spine design which is a traditional design created in the 19th Century. 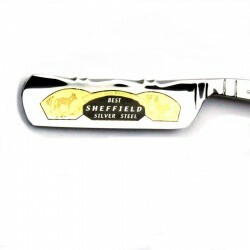 The blade has a mirror finish to both sides and has a gold wash design featuring the fox and rooster detailing with the words " Best Sheffield Silver Steel" on a black background. 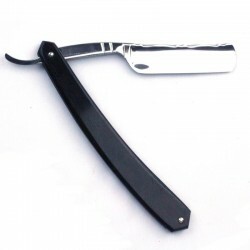 There is jimping to the lower side of the tang. 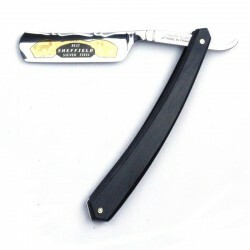 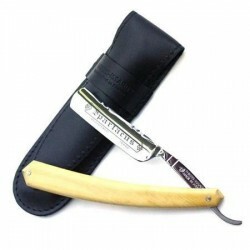 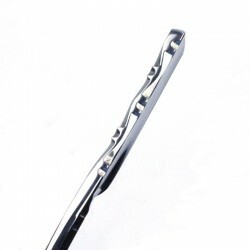 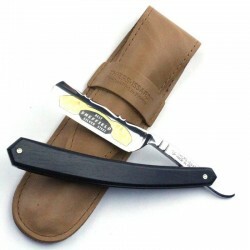 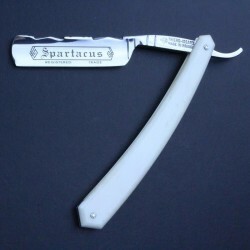 This razor is supplied in a TI Baragnia leather wallet (colour may vary). 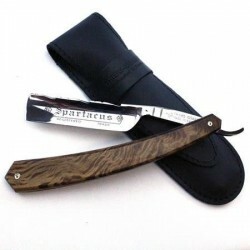 Payment is taken in GBP, prices shown in EUR are indicative only (PayPal only).